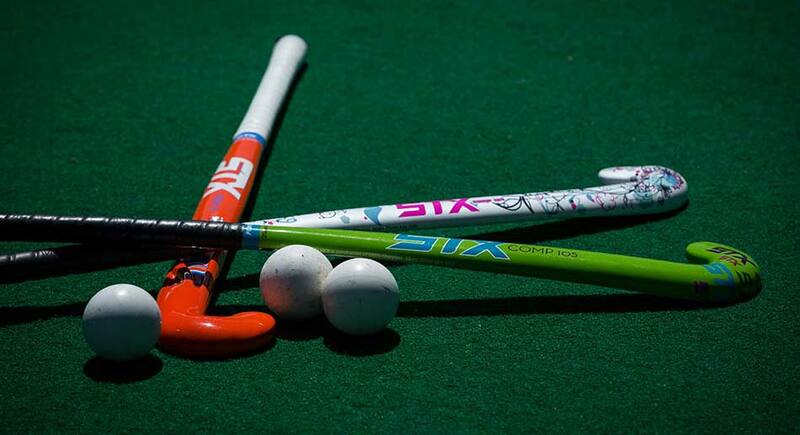 OPINION-- High school and college field hockey season is a completely different environment. While the rules remain the same from club season, the atmosphere can grow increasingly dense. Heavy weight is often put on outside factors like the local media, awards and recognition, the fans in attendance and more. This year’s RUSH Preseason Prep is geared to hyper-focus on what matters and filter out what does not. Bonus: We have advice from RUSH Field Hockey Director Brian Scheldorn and our newest RUSH alums. Regardless of sport, every team has their own pre-game warm-up routine. It could be a morning jog around the hotel and a list of drills to run through moments before the game. However, a routine like that is for the entire team. What works for some, may not be everything you need to be game ready. It can be as simple as a pre-game dance party in the locker room or that you always take an ice bath after home games. The Point: Whether it’s physically or mentally, routine behaviors cultivate comfort to our body and our mind. It can be done before, during or after practices and games to grow confidence in our preparation, remind us to stay present while playing, and allow us to take care of our bodies and minds after we leave the field. Captains struggle. Veteran goalkeepers struggle. The struggle isn't just "real" for freshmen. So how do we conquer the moment? Just because we are struggling does not mean we approach any of our coaches and teammates willing to listen. Depending on the subject, running to a coach time and time again can create a look of dependency and inability to work through problems. However, other people in your network could be the answer. "Marissa Medici is my role model," said fellow RUSH alum Sawyer Post. "As a freshmen she took me under her wing and encouraged me to play RUSH. She helped me throughout the recruiting process and helped me get to play at the collegiate level." The Point: When faced with a struggle or maybe you just need an opinion, take it one step further. Find that confidant whether it's a role model, team sports psychologist, a parent, or former coach or teammate. You may be someone's role model and not even know it. Learn from them so one day you can lead by an even better example. Maybe a Michael Jordan quote is taped up in your locker. You may have a jar of accomplishments you add to after each practice. Whatever and or wherever the advice is, it is important to keep it handy. Advice needs to be ready at a moment's notice to remind you what is important. It can be simple or motivating, but most importantly you need to remind yourself of it. RUSH Alum Meghan Schneider said Coach Brian's advice-- thinking of the center midfield position like the hub of a wheel-- has really stuck with her. "If you get the ball from one side at a certain angle, you should be looking to give it in the opposite direction to open up the game," said Schneider. " I try to carry the idea of 'being the hub' wherever I am playing because I like to think of myself as a distributor on the field." The Point: Advice is crucial in acting like bullet points to remember before going into a test. Recalling your advice could be all you need to pull yourself out of a funk. Not enough? Try talking your advice to yourself. Say it out loud--hear what you have to say-- and notice the difference. "I love field hockey because it allows me to make unforgettable memories and friendships while getting better at playing the game and working with a team," said RUSH Alum Jenna Tampon. Bonus Point: Remember these points and good luck in your season. 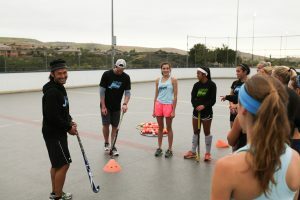 SAN DIEGO – Several RUSH Field Hockey seniors continue a program tradition—committed and ready to embark on their first season of collegiate field hockey. In the last four years, RUSH Field Hockey has sent 39 players off to their respective college programs. This year’s class of nine will join a NCAA Championship team, play alongside accomplished RUSH alums, represent every position on the field and in multiple conferences across the country. Headed all the way to New York, RUSH Field Hockey’s Audrey Matthew will play for the 2015 NCAA D I National Championship Orange. Last season, Syracuse made another deep run in the ACC and NCAA tournament advancing to the quarterfinals and Elite Eight. Back in 2015 and unbeknownst to RUSH alum Niki Neidhart at the time, she began her rookie year at SU and eventual route to a national title. Also set to compete in the ACC is RUSH midfielder, Meghan Schneider. A current USA Under-19 team member, Schneider joins the University of Louisville—a team with a track record of NCAA tournament appearances and national team players. Schneider's commitment also bridges a family trend—her mother Cindy Schneider played field hockey at the University of Iowa and her younger sister Katie Schneider will complete the mother-daughter-dynasty and also attend Louisville in 2019. Making the furthest trek east to Massachusetts RUSH midfielder and defenseman Jenna Tampon, will suit up with Smith College in the fall. Last season Smith finished second in the NEWMAC and landed 14 members on the National Field Hockey Coaches Association All-Academic squad. Additionally, the 1983 Smith field hockey team was recently inducted into Smith’s Athletics Hall of Fame. With a rich history of RUSH payers in the Big Ten Conference, RUSH's Saywer Post keeps the trend going with her commitment to Michigan State University. A speedy attacker, Post will join the Spartans on their newly renovated Astro turf field scheduled to be finished later this summer. She will be the fourth RUSH player since 2002 to wear the green and white, following in the footsteps of Jessica Miller, Kathryn Elenz-Martin Douglas and former RUSH Assistant Program Director, Molly Cassidy. Despite the cross-country spread of commitments, not every RUSH player will have to bid the other good-bye. In fact, four will continue to play together while another joins a rivalry school nearby. RUSH Program Director Brian Schledorn (left) coaches an Elite Performance Group in San Diego. Megan Rodgers, a USA Under-19 team member and San Diego’s record goal scorer, will be this year’s lone RUSH player to join the University of California, Berkeley. However, she will find plenty of familiarity as at least one RUSH player has been on Cal's roster every year for nearly the last decade. The core group of Cal's returning players this year include RUSH alums: Maddie Ashbrook, Mara Gutierrez, Gabi Jimenez, Krya Kent, Zoe Randolph and Alie Zimmer. Not too far away, Rodgers will encounter soon-to- be friendly foes also settling into their new home in the American East Conference. The University of California, Davis will welcome four RUSH newcomers to their equally weighted team full of RUSH alums. Melissa Ardila, Summer Borsack, Daniella Schoenfeld and Madison Theodore will join the Aggies who currently roster five RUSH alums with whom they have trained with and or played alongside at some point in their career. An explosive and instinctual player, Ardila will bring her consistent goalkeeping to the UC Davis backfield. Ardila will join RUSH alum, Chelsea Bigelow in their goalkeeper unit with stalwart support from RUSH alum defenders, Sara Janetzky and Madison Cohen. Before Bigelow and Ardila, the last RUSH goalkeeper to play in California was Haleh Nourani at Cal in 2008. Summer Borsack and Daniella Schoenfeld will also add to the Aggies’ defensive line after years of solid defense for RUSH Under-19 and Under-16 travel teams. A multiple sport athlete, Borsack chose field hockey at UC Davis where her sister Eden, a RUSH alum and senior, is also on the team. Schoenfeld, a co-captain at Serra High School with Rogers and Schneider, also showcased well to the UC school with a 4.64 GPA and as ASB President. On the offensive front, Madison Theodore rounds out the UC Davis freshmen class of RUSH players headed off to college. Theodore will bring crafty stick skills and distribution tactics to the midfield and forward line. There she will find RUSH alums and teammates once again-- Tatiana Arias and Farah Farjood. 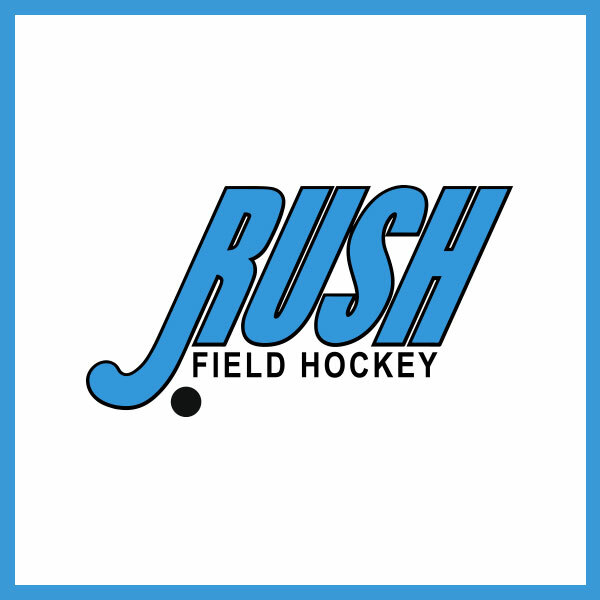 For more information on commitments and tournament play updates, follow RUSH Field Hockey on Instagram, Twitter and Facebook. SAN DIEGO-- Although just two months into the calendar year, RUSH Field Hockey is wasting no time accomplishing a New Year’s goal or two. Recently, a record-setting four RUSH Field Hockey players were selected to represent team USA on the Under-19 and Under-17 Junior National Teams. Selections concluded after a lengthy USA pipeline process that began last May. Kathryn Peterson, Megan Rodgers, Meghan Schneider, and Brynn Zorilla—all RUSH Elite Performance Group teammates--will suit up alongside each other once again, this time wearing red, white and blue. Prior to this year and dating back to 2003, five other RUSH Field Hockey members have represented team USA. These RUSH Field Hockey alums have competed in China, The Netherlands, Chile, Uruguay, Canada, Australia and more while carrying the RUSH Field Hockey name along with them. To break it down further: At the state level, the four longtime RUSH teammates are the only Californians selected to any women’s national team. Even from a regional standpoint, the players are still time zones away from a majority of their teammates. Rodgers and Schneider, both selected to the Under-19 team are the only players on the 27-person roster from west of Illinois. As for Peterson and Zorilla, their next closest Under-17 teammate lives 2,000+ miles away in Ohio. For Rodgers—a MAX Field Hockey West/Midwest Region Player of the Year with a California single-season record 81 goals, this marks her second year selected to a USA national team. The Cal Berkeley-bound senior competed on the Under-17 team in 2016 alongside Zorilla. This year she was able to make the often difficult jump to the Under-19 team. Zorilla also returns to the national scene for the second straight year now a veteran leader on the Under-17 team. The Cal Berkeley-bound junior and three time All-CIF honoree competed in the midfield for team USA last year during a series of European test matches in Germany. The common thread then: Rodgers and Zorilla were the only California players who made the cut. New to the national team roster yet very familiar with success, Schneider and Peterson bring the RUSH Field Hockey national team total to nine. Schneider will make her USA team debut following a high school season in which she set the all-time section record with 77 assists-- many of those assists completed by a Rodgers or Peterson goal. Later this year, Schneider will join the University of Louisville Field Hockey program in the Atlantic Coast Conference. Her younger sister and fellow RUSH EPG teammate Katie Schneider, will also join the Louisville field hockey team and play alongside her in 2019. Making a statement this last year, Peterson notched accomplishments in record books and on rosters. Following a 27-goal and CIF championship season, Peterson committed to play for the University of Michigan in the Big Ten Conference only to follow that with selection to the Under-17 team. Adding to her success in 2016, Peterson broke into her high school track and field record book with a top five finish for the 1600-meter with a time of 5:27:52. USA Field Hockey will announce travel tour dates and competitions at a later date. 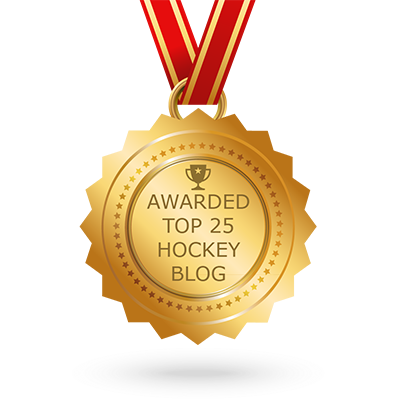 RUSH Field Hockey has been voted a Top Field Hockey Blog!